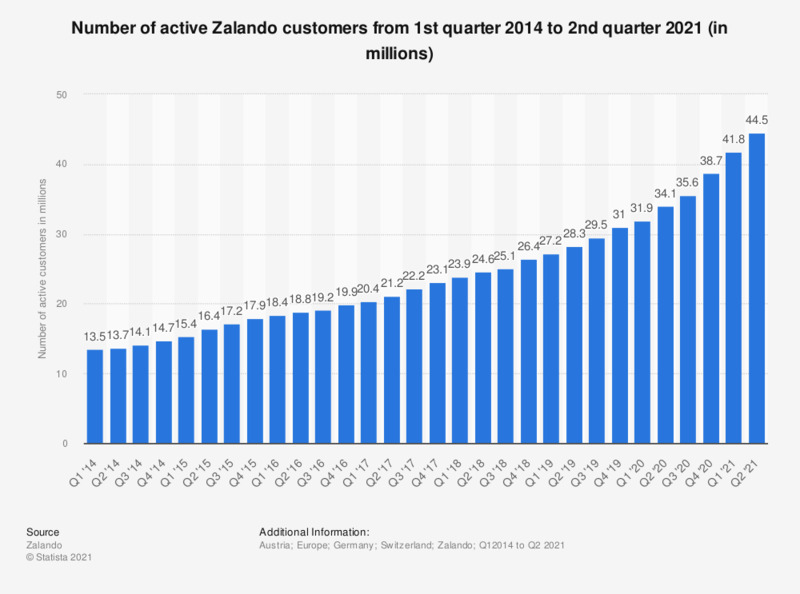 This statistic illustrates the number of active Zalando customers from the first quarter of 2014 to the second quarter of 2017. As of the last reported quarter, it was revealed that the number of active customers, i.e who placed at least one order in the prior twelve months of the measured period, amounted to approximately 21.2 millions. Over the presented period, Zalando, the Berlin-based online commerce company, reported that the number of active customers experienced a continuous increase. Active Customers are defined by the source as the number of customers placing at least one order in last twelve months in the measurement period irrespective of cancellations or returns.